(German only). 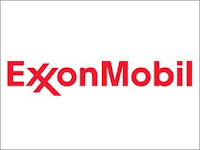 The price of the ExxonMobil shares follows broadly the oil price which suggested that stock analysts clearly use that indicator as the main element of value in Exxon Mobile. On the other hand the article concludes that Apple's share price has a long way to go. This author has been looking at Apple for some time. The company is filing a significant number of patents - not yet as many as IBM or Microsoft. The company is also becoming highly litigious in defending its rights. Not only is Apple actively defending its patents but its injunction against Samsung based on design rights (see the FOSS blog report here and commented by our friendly Kats here) shows Apple's interest in retaining its rights to its "look and feel". Anyone with a penchant for numbers can have goggle at the 10Q filing available here. Revenue from "other music-related products and service - in other words iTunes, the App Store and the iBookstore" rose 29% in the three months ending 25 June compared to the previous year and is now 5% of net sales. The cost of sales must be minimal which presumably means that the USD 1.5 Million generated in three months represents substantially profit based on intellectual property. Based on all revenue and cost of sales, Apple is reporting a gross margin of 41.7% up slightly from the comparative period in the previous year. And what about our oil friends. The 31 March 2011 accounts show consolidated gross revenue of USD 114,004 million and net income of USD 10,650 million - a substantially lower marging which no doubt reflects the fixed costs associated with oil production. So what does this tell us. 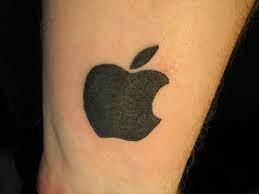 An IP-rich business such as Apple has a much higher margin and this is now being reflected in its stock price. It does not come as a surprise for Apple fans to see their favourite company .